Out on the water the only thing that matters is reliability. Because everybody knows the money stops as soon as your generator does. That’s where KOHLER® Marine comes in. For nearly 100 years, they’ve built some of the best commercial generators on water. Every KOHLER® commercial marine generator is extensively quality tested start to finish – before model release and before leaving the factory. The result is proven reliability. Marine Electric Technologies is KOHLER® certified. We sell, service and warranty-repair all KOHLER® Marine Commercial and Recreational generators. Call us at 705-259-2628 today to discuss your commercial generator needs. 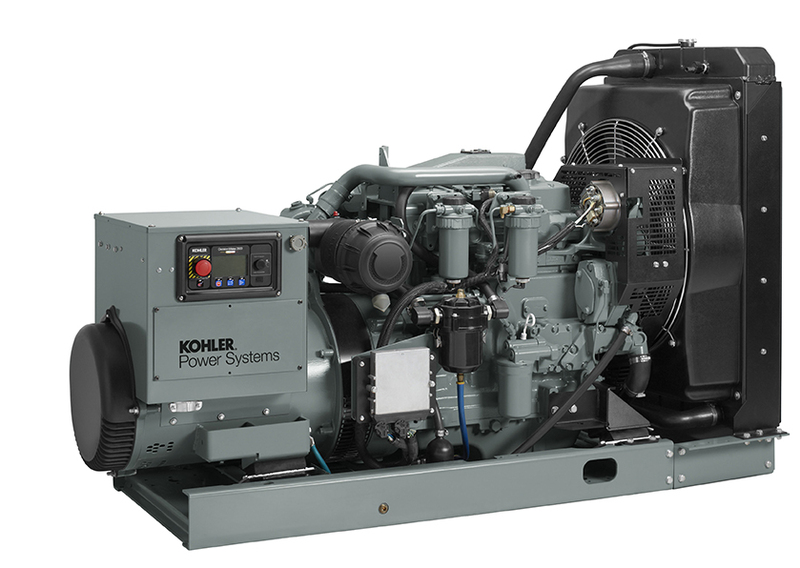 KOHLER created the world’s first commercial marine generators with factory-installed, pre-tested paralleling controllers and automatic voltage regulators. Everything is automatic and easier to use than ever before. KOHLER Decision-Maker 3500 controller with auto transfer functionality. Smaller footprint for more power density in a smaller package that’s easy to install and fit into smaller applications. KOHLER Fast-Response X alternator is smaller and more advanced with 12-lead, multi-voltage reconnectable stators and permanent-magnet exciter. High-pressure common rail fuel system dramatically reduces the effects of poor performance. Quieter with less vibration, KOHLER generators use a redesigned sound shield with separate engine and alternator compartments.